One of the handiest things to cook in big batches is mince chilli. A couple of bags of that in the freezer and you can freestyle quite a lot of different dishes. Anything from chilli with rice through Sloppy Joe's to Spag Bol. Just defrost, heat and serve with a side or two and you're done. I've heard that some people cook their chilli base with kidney beans. They are doing it wrong. 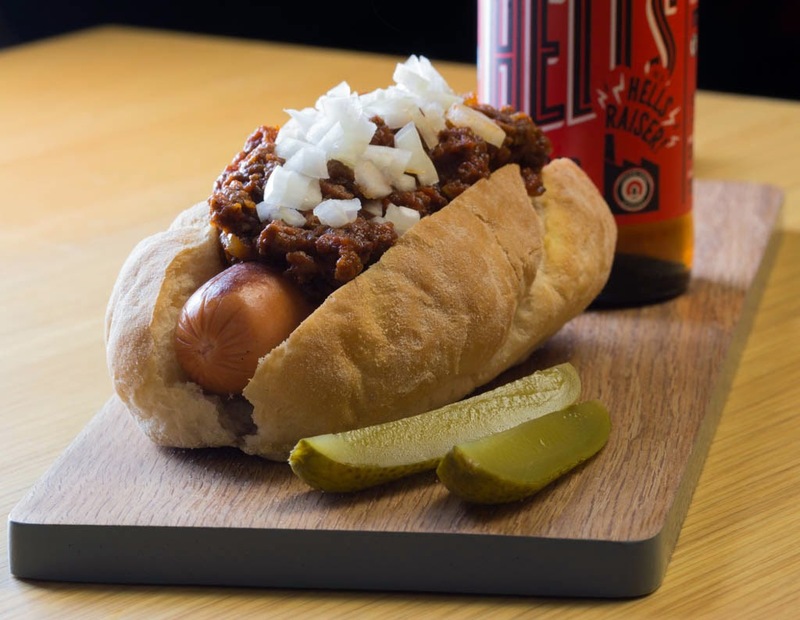 However, this post is not about how to make your chilli - this is just about how to use some of it to make a chilli dog or two. To me chilli dogs comes in under the comfort food banner, they might not be everyone's thing but I sure do like them. If you're serving them to others you can always make the chilli suitably bland but then offer diced chilies and hot sauces on the side. Raw diced onion is a must whenever I make them, grated strong cheese isn't too bad either. Well - this isn't a real recipe post so let's stop blathering and get on with it. Heat the chilli. Cook the hot dogs to your liking. Slice the hot dog buns and pop the hot dogs into them. Top with chilli and accompaniments.